Lots of essential compounds discount store pallets of products in diverse references to many categories such as toys, crafts, clothing, bazaar, hygiene, small furniture, drink etc … all products likely be in a discount store. Essential products that all professional discounters compete. Moreover, in these difficult times, they make it easier than ever to install new discounters during sales area opening enjoying very competitive rate. 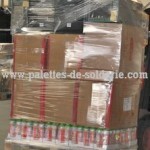 Our price ht: € 195 / pallet, with a minimum of 30 pallets or a complete semi trailer truck. Price starting with possibility of delivery. 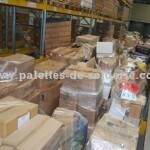 This represents a market value at least 60 000 to 75 000 for 30 pallets. 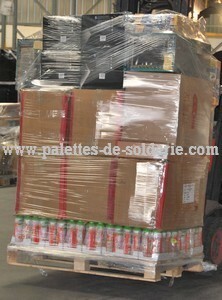 The purchase price is only 5850 euros HT for a full semi-trailer truck, less than 10% of the retail price.